It's your lucky day! 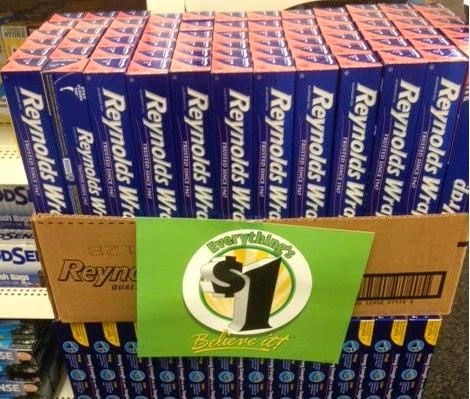 There's a NEW coupon for $.75 off any Reynolds Wrap foil. Print your coupon and head to Dollar Tree where you'll find the Reynolds Wrap for $1 making for a box of foil for ONLY $.25 after coupon.